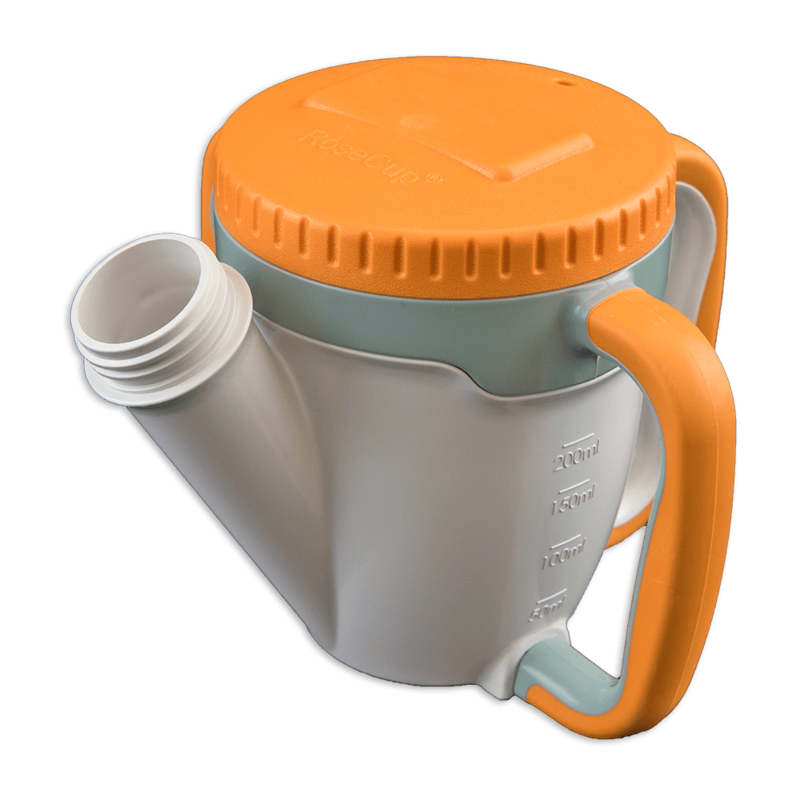 The RoseCup is a pioneering drinking aid for those with difficulties feeding and swallowing or for those who just need a little extra support when drinking and keeping hydrated. The RoseCup is long lasting, robust and made in Australia from high quality materials. The mug is dishwasher and microwave safe, manufactured to Australian Nursing Home Industry Standards (88 degrees). The RoseCup has three robust, easy-to-grip handles. These big handles allow the cup to be used with the left hand, right hand or with the assistance of a caregiver. The handles have been specially designed to make drinking simpler for those with a weaker grip, tremors or difficulties holding normal cups. The handles enhance the versatility of the mug and give dignity, confidence and control back to users. 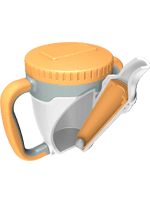 The liquid tight, easy to screw on/screw off lid enhances the functionality of the mug. A breathing hole allows pressure to be released from the cup. A specially designed grommet can be purchased separately. 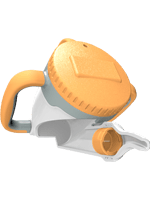 The grommet seals the breathing hole and when used with the correct attachments (flow control insert and soft spouts), ensures the cup is spill proof even when turned upside down, dropped or knocked over. We offer a range of attachments to meet you personal feeding and swallowing needs. Our attachments include the spoon attachment (a good introduction to using the RoseCup), the sipper (for a little extra support when swallowing), the sipper with the straw insert (for minimal sucking effort), the sipper with the flow control insert (for extra flow control) and the soft spout attachments for flow and volume control (for those with more acute swallowing difficulties).